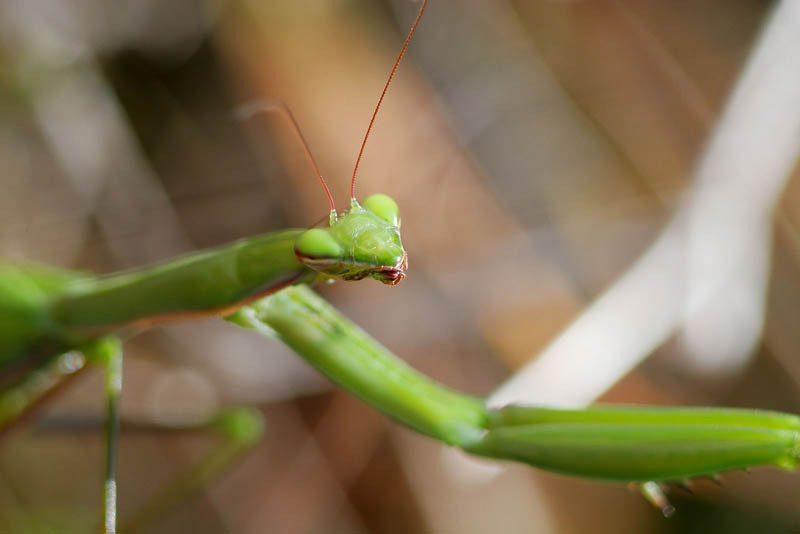 Close-up of praying-insect with green body and red tentacles. Predatory animal. Wildlife, nature.